The little guy was not having his best day. Still a bit sick but with just a little fever, we brought him to Kowloon. We did the Kowloon Park, which has a great playground, so he got his playtime, but that was not enough. Later in the day, at Sham Shui Po, outside of one of the shops selling toys, he started freaking out. Basically I was buying a mini soccer ball for a friend and he saw me interacting with the balls, and he couldn’t handle it. After all, he is obsessed with playing with soccer or basketballs. So, with the family visiting from Sweden at my side, I did something I am not proud of. I bought him the ball he wanted. 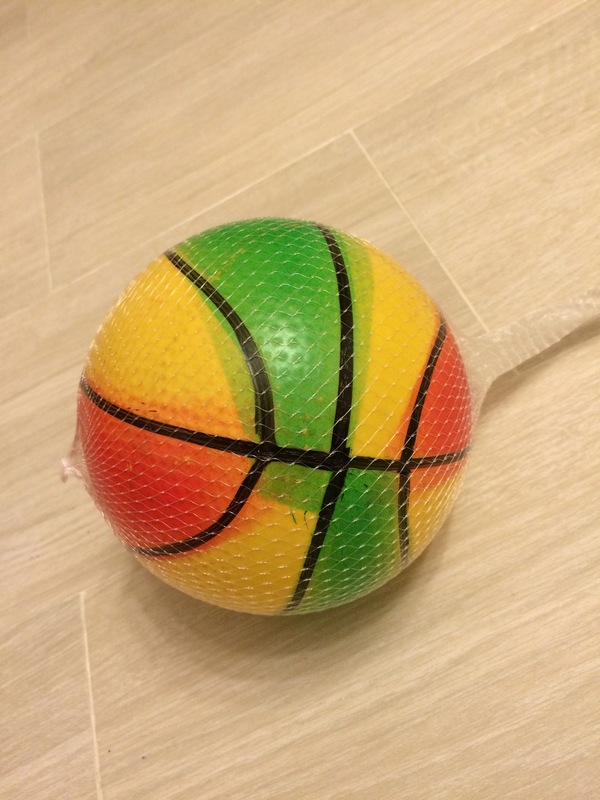 It wasn’t to stop him from screaming, it was because I wanted to get him one anyway, but I am already worried if I taught him a lesson: “scream and get what you want.” If I was alone I think I would have bought the ball and hidden it until we got home, but this time I gave it to him immediately. And he got bored with it just as quickly. ← Day 270: playrooms / play dates or not?